Apex Police have issued hundreds of tickets in the last three weeks at this dangerous intersection. APEX, NC (WTVD) -- What will it take for drivers to get the memo? Police in Apex continue issuing citations to dozens of drivers making a left turn from Beaver Creek Commons Drive on to Kelly Road, a turn first blocked off at the beginning of April. The busy intersection sits between neighborhoods and two shopping centers, including a new Publix supermarket. 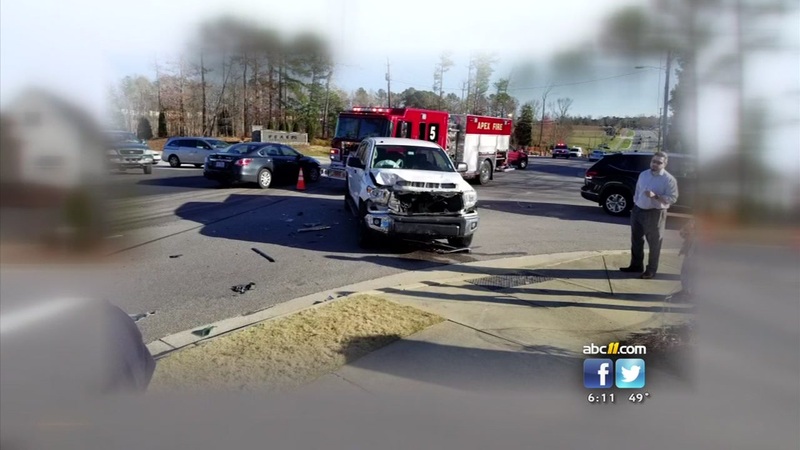 Neighbors in an Apex neighborhood say a traffic light is needed to cut down on collisions at a dangerous intersection - Beaver Creek Commons Drive at Kelly Road. There have been eight crashes there since 2017. "It's pretty dangerous," Allee Robertson, who works nearby, tells ABC11. "I've definitely had people pull out in front of me which is not fun. There's screeching tires sometimes." According to police, officers responded to at least eight serious crashes at the intersection last year, which prompted the move to block the left turn. At first, police set up cones and a big sign, but that didn't appear to stop anyone. To date, officers have issued at least 154 citations to drivers who have attempted to make the illegal turn. Robertson, from her restaurant down the street, said it's impossible to miss all the action. "Everyone had a bet of how many cars would get pulled over. I think we had max 26 in a three-and-a-half hour period one day." Apex mayor Lance Olive posted a picture of the roadblock on his Facebook page, and is urging drivers to obey the new rules of the road. "Fines are collected by the county," Olive wrote. "Sympathy is reserved for when the signs aren't clear - not the case here." There are plans to bring back the left turn once there is a traffic light installed, which is expected to take place later this spring.